A mattress would be just as difficult to balance on a bottle of wine as a pill-box hat on head that wasn’t ready for it- but just as certain gals (the lyrics’ muse, Edie Sedgwick?) can rock anything because their style is sturdy and sure, so are there a few bottles of wine that could, metaphorically, hold the weight of that mattress. And if I had to choose one, I would have to give it to Barolo. Barolo’s just got balls. The wine is named for the place from where it comes and is composed 100% from the nebbiolo grape. Nebbiolo’s name has roots in the word nebbia, which means fog and is likely referring to the heavy mist that settles over northwest Italy’s Piemonte vineyards during their October harvest. Nebbiolo is a distinct and energetically tannic grape that reveals, over time, so many pretty sub-attributes amidst its well-balanced strength. It also takes its time to come into itself. Its legal designation requires at least three years of aging before its release, two of which must be in oak. Many producers keep theirs longer. ..the noblest of Piedmont’s wines (and arguably Italy’s) isn’t about being at the top of the heap. It is about existing in its own realm. Cabernet has spawned a million cheap imitators, even as it tries to maintain its fancy airs. But if the notoriously difficult nebbiolo grape can be subject to the whims of fashion, it remains virtually impossible to debase. No Screw Kappa Barolo headed your way. 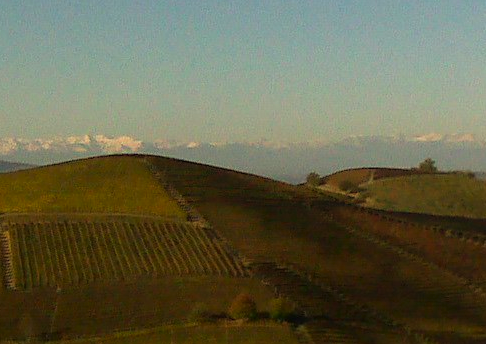 Thanks to its terrior and its champions, Barolo is so Barolo. Its land today is inhabited by what I would call fancy farmers. 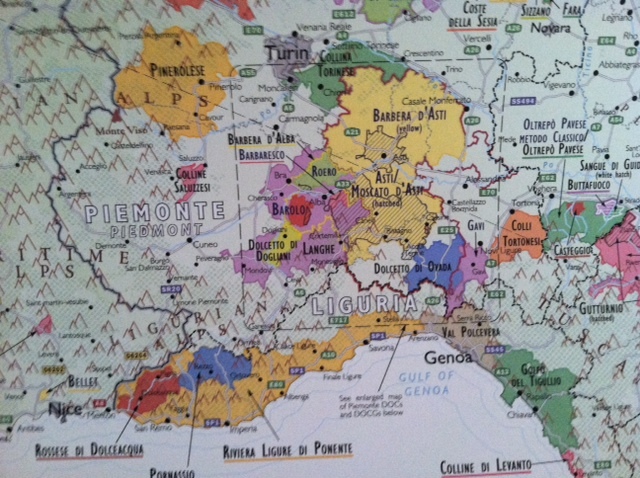 Last October I was fortunate enough to travel a bit around Piedmont, with some stops around Barolo. It is quiet there. The air is very still. So still that every movement, breath, and word spoken feels freshly minted. The surrounding Alps set the scene with Switzerland to the north and France to the west. The land was once ruled by the House of Savoy and remnants of that time are still quite present. Barolo’s land holds parks, shops, and homes where people live and eat, laugh and nap, in little towns with famous names such as Roddi, Barolo, La Morra and Castiglione Falletto. Each town has a castle on its highest hilltop. Among the towns are vineyards, and in those vineyards with their well-drained, marly clay soil, nebbiolo grows. Everyone goes about their day knowing this. Many of the young people move to Turin or other nearby cities looking for excitement. Some return. Though the place is so beautiful that it requires a good pinch to remember that it’s all real- it is still rural- an agricultural community- its rhythm is that of the vines. I could tell you what Barolo producers I enjoy, what I believe each one tastes like. But that would be suggesting that my tastes should be your tastes, and that my idea of earthy cherry leather is the same as yours. Some producers are of higher quality than others, but all are worth trying to get the full scope of the zone’s style. I won’t tell you what day you should drink it, we all have different things to celebrate and you know best what occasion warrants a opening a lovely 2004. I could suggest what to serve it with, but maybe you don’t want to make a brisket just because I think that brisket is a delicious pairing. You could have a bottle with a beef ragout, or take your evening bath in it while wearing a pill-box hat. It is none of my business what you do with your Barolo. I’m just glad it exists and is delicious and true!